According to the International OCD Foundation, about 1 in every 50 people has a serious problem with hoarding. One of the most common explanations a hoarder might have for their overwhelming amount of stuff is that they’re just a collector. That can be difficult to argue with, but there are some very clear differences between the two sets of behaviors. Both involve buying stuff. Lots and lots of stuff. Hoarders can focus on a handful of particular items and collectors can amass collections of different things . . . so what’s the difference? Much of it boils down to what’s going on inside a person. Most collectors are those who are proud of their collections, who collect certain things because of the love of the item, or theme, or object. They’re also proud to share their collection with others—they like talking about it, they like sharing stories, and they like showing it to others. There is also usually a sense of organization to the collector. Things are of value, they’re neatly displayed or organized, and if there’s overflow, the items are boxed and stored carefully. There’s a sense that even though there’s a lot of something—too much, some people might say—it’s all cared for. You might think someone’s crazy for having 500 different types of pickle jars, but if they’re proud of it, they’re a collector. Hoarders, on the other hand, may often be ashamed of the state of their house and the items that they’ve amassed. Most hoarders go to great lengths to keep people out of their houses and away from their things; many know that they’re getting carried away, but they can’t help it. They may be embarrassed rather than proud, but they still don’t know how to stop. There’s usually no organization to a hoarder’s home, no sense that everything has its place. There’s often a wider variety of things that get collected in the hoarder home, and many hoarders gravitate toward free things or stocking up on bargain items that they can’t possibly use. A collector will find other collectors to share and swap items with, while a hoarder may suffer in isolation. There’s also a difference in the reason a person accumulates things. Collectors get things because they take pleasure in having them, while hoarders may keep things because they’re afraid of not having them. While a collector might loathe to part with a few prized possessions, it’s because he’ll miss them, not because he thinks something horrible might happen because he gets rid of them. Hoarding is an obsessive compulsive disorder, and it’s not something that a person comes by voluntarily. Collectors collect because they want to; hoarders hoard because they have no choice. Hoarding also often has an element of danger involved as well. The behavior is associated with fire hazards in the home, health problems, sanitation problems, and, in the cases where a hoard spills outside the home, there can be issues with town and city regulatory agencies. And when animals are involved, that can escalate the situation to a whole other level. Perhaps most importantly, collectors and hoarders don’t respond the same to interference from concerned loved ones. Hoarders often need intervention to help keep things from getting completely out of control, and require respect, understanding, help, and usually therapy to get over their hoarding tendencies. One two-letter word in English has more meanings than any other two-letter word, and that word is ‘UP.’ It is listed in the dictionary as an [adv], [prep], [adj], [n] or [v]. When it threatens to rain, we say it is clouding UP. When the sun comes out, we say it is clearing UP. When it rains, it soaks UP the earth. 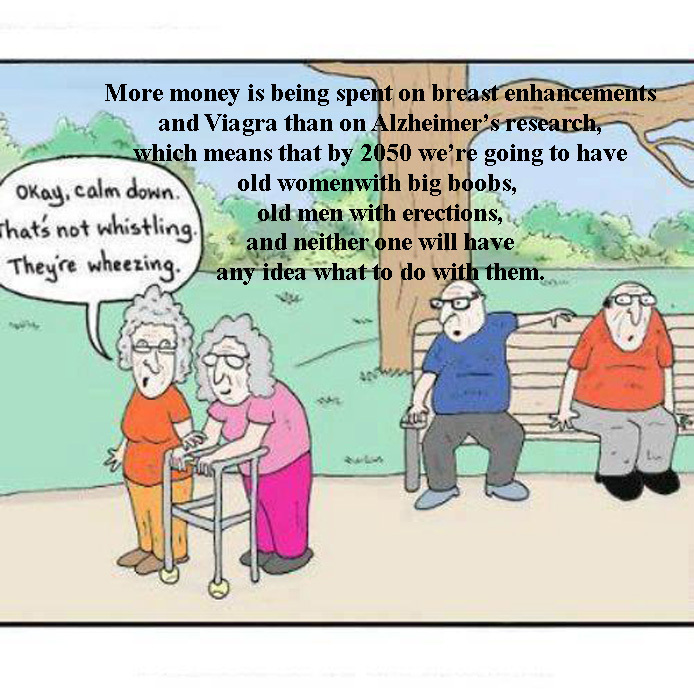 When it does not rain for awhile, things dry UP. One could go on and on, but I’ll wrap it UP, for now . . . my time is UP so I’ll shut UP now. Evidence has been found that William Tell and his family were avid bowlers. However, all the league records were unfortunately destroyed in a fire. Thus we’ll never know for whom the Tells bowled. Two Eskimos sitting in a kayak were chilly, but when they lit a fire in the craft, it sank, proving once and for all that you can’t have your kayak and heat it too. Did you hear about the Buddhist who refused his dentist’s novocaine during root canal work? He wanted to transcend dental medication. Census taker: How many children do you have? Census taker: May I have their names, please? Woman: Eenie, Meenie, Minie and George. Census taker: Okay, that’s fine. But may I ask why you named your fourth child George? Woman: Because we didn’t want any Mo. 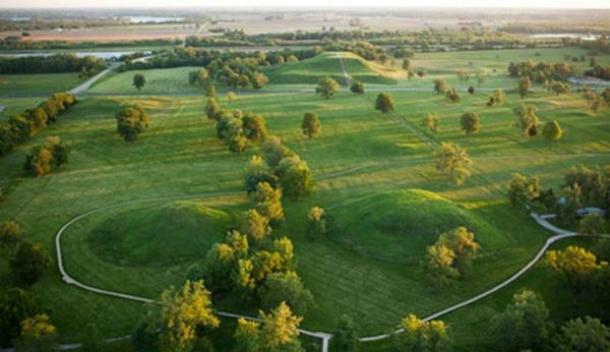 From about 700 to 1400 CE, Cahokia flourished as one of the greatest cities in the world. The complex society at Cahokia prospered in the fertile lands off of the Mississippi River, across the river from modern St. Louis, Missouri, and it was booming long before Europeans came to America. By 1000 AD, the Native American community in and around Cahokia Mounds was exhibiting a host of characteristics, which later would become common among Indian societies along the major river drainages throughout the Midwest. This has been termed the Mississippian culture. Cahokia is currently believed to be the largest archaeological ruins north of Mexico’s great pre-Columbian cities. The mound complex was named after the Cahokia sub-tribe of the Illiniwek, or Illinois tribe, a loose confederacy of related peoples who moved into the area in the 17th century and were living nearby when the French explorers arrived about 1699. Sometime in the mid-1800s, local historians suggested that the site should be called “Cahokia” to honor these later arrivals. The ruins of this sophisticated native civilization are preserved at Cahokia Mounds State Historic Site in Collinsville, Illinois. Within the 2,200-acre area, the remnants of ancient Cahokia are displayed, paying tribute to one of the largest and most influential urban settlements of Mississippian culture. The 3.5-square-mile park contains the ruins of approximately 80 mounds. However, at Cahokia’s height, the site included more than 120 earthen mounds spread out over approximately six square miles. The largest of these 120 mounds is Monks Mound, also known as Mound 38, which is the largest man-made earthen mound on the North American continent. It received its name from the group of Trappist monks who lived on one of the nearby mounds. The monks never lived on the biggest mound but gardened its first terrace and nearby areas. Archaeological investigations and scientific tests, mostly since the 1920s and especially since the 1960s, have provided what is known of the archaeologically significant community. The early Native American cultural hub once boasted a wide variety of edifices, including everything from monumental structures to basic homes for practical living. At its peak between 1050 CE and 1200 CE, the city covered nearly six square miles and was inhabited by 10,000 to 20,000 people. Over 120 mounds were built over the years, and most of the mounds were enlarged several times. Houses were arranged in rows and around open plazas, and vast agricultural fields lay outside the city. The fate of the Cahokian people and their once-impressive city is mysterious. The decline of this great civilization is believed to have been gradual. Most historians agree that the Cahokians began abandoning the city in the 13th century, and by 1400 CE the civilization was completely deserted. Exactly where the people went or what tribes they became hasn’t yet been determined. Cahokia is considered a United States National Historic Landmark and is managed by the Illinois Historic Preservation Agency as a State Historic Site. Also, in 1982, the United Nations Educational, Scientific and Cultural Organization (UNESCO) designated Cahokia Mounds a World Heritage Site for its importance to our understanding of the prehistory of North America. Today, visitors can explore the mounds at the park, and learn about the site in the Cahokia Museum and Interpretive Center.